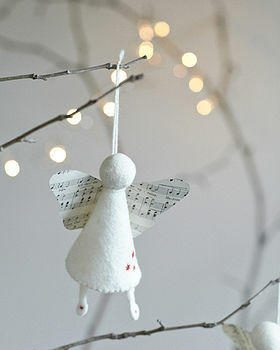 A beautiful felt angel decoration with vintage music wings. 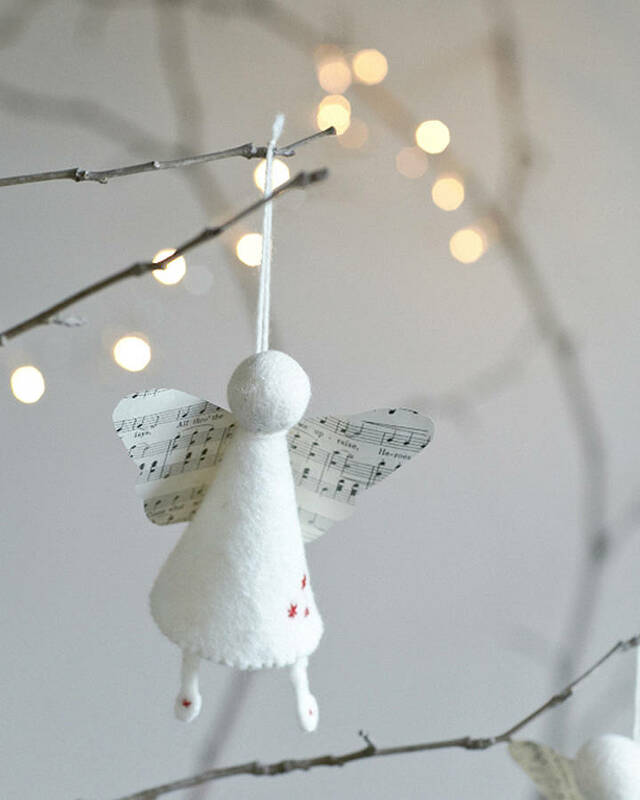 Handmade in Yorkshire this charming little Angel tree decoration is happiest when hanging from a festive branch or tree. Made from thick hand felted merino wool, lovingly hand stitched and embroidered with red stars her wings are made from vintage sheet music. She would look adorable as part of a festive display on your mantle or Christmas table too! Hand felted merino wool, cotton thread, wool, vintage sheet music.